Wasteland 2 is a game that still sits on my Pile of Shame but it's definitely a game I'd like to sink my teeth into soon – I mean, it's featured a couple of times on the Most Anticipated PC Games list and why wouldn't it, considering the original Wasteland was the inspiration for Fallout and Brian Fargo (the producer behind many games at Interplay) was also at the helm? Wasteland 2 was well received by the critics and holds a Metascore of 81; it also rates well with Steam users with 82% of the 4,256 user reviews for the game being positive, which equates to a "Very Positive" rating on Steam. 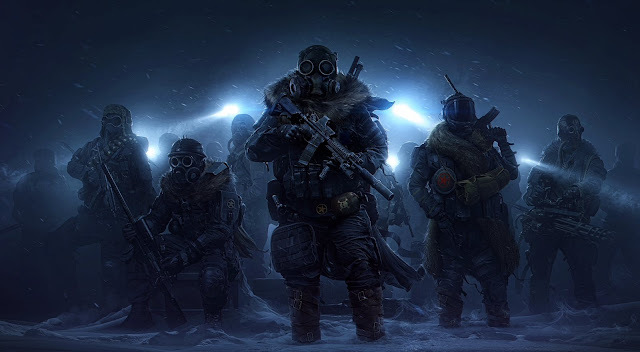 Like Wasteland 2, Wasteland 3 was a crowdfunded game except instead of raising funds on Kickstarter, inXile Entertainment raised funds with Fig. Over $3 million USD was raised in 2016 and two years later, the game is still in development, although it's apparently scheduled for release towards the end of 2019. The game will improve several aspects of Wasteland 2 including the ability to play the game with a friend in story-driven synchronous or asynchronous multiplayer; the game also has a different setting to the previous two games as it'll be set in the frigid wasteland of Colorado (instead of the South-Western United States).